I used the scrape cloth left after making these outfits to make some bows. I attached matching fabric buttons to the bows to make it looks like the bow on Hello Kitty. 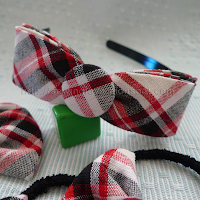 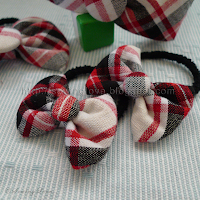 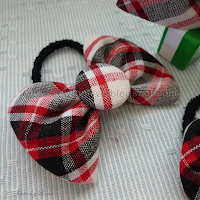 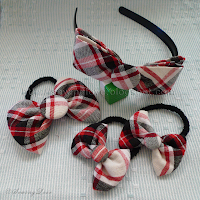 ;p The bows are used here as hairties and headband.